Greetings, all you late-spring and early-summer fans! It's June and it's warm and sunny here in the Corn Belt. 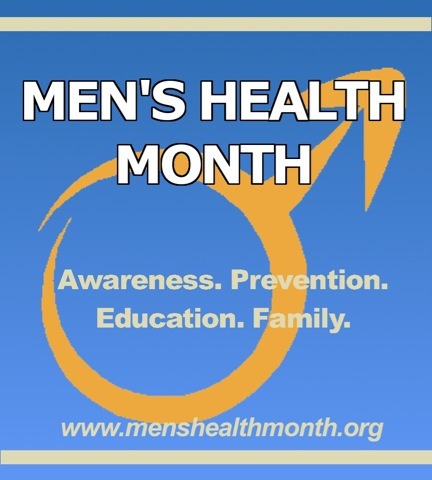 Did you know that June is Men's Health Month? Did you know that June 11-17, 2012 is Men's Health Week? 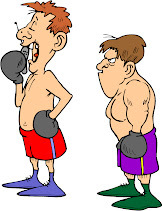 Don't worry if you didn't; a lot of guys are not aware of the annual custom we now have of looking carefully at the health of men and boys, learning more about it, and improving health and fitness. Since this is a sports/fitness blog, I'll be posting a lot of health-related content during this month. Men's Health Month and Men's Health Week will get significant attention here, so be sure to visit this blog regularly to keep up with the latest content and news. I am confident that you will find the information useful. To start, here are two logos courtesy of the Men's Health Network. Visit the sites below to get an overview of what is coming.